It’s true that everything is bigger in Texas. Our friendly neighborhood in New Braunfels, Texas, boasts big-city features, but it’s known for its small-town charm. When you’re not picking up organic and specialty groceries at Goddess and Grocer or the New Braunfels Farmers Market, stop by The Buttermilk Café for fried green tomatoes or a short stack of fluffy pancakes. On the weekends, check out Gruene Hall and dance the night away at one of the country’s oldest and most famous dance halls. When the weather is nice, test your fishing prowess at Lake Dunlap or rent a boat for an afternoon of fun in the sun. If you’re in the mood for a bigger city experience, take your pick. Austin is an hour north of us on I-35 and downtown San Antonio is just about 45 minutes to the southeast. In addition to our big-city amenities, New Braunfels is also home to some of the area’s top local employers. Commuters will appreciate the short drives to Caterpillar, Continental Automotive Systems, or the Amazon Distribution Center. Plus, we’re just 35 miles from downtown San Antonio and only 44 miles from Austin. 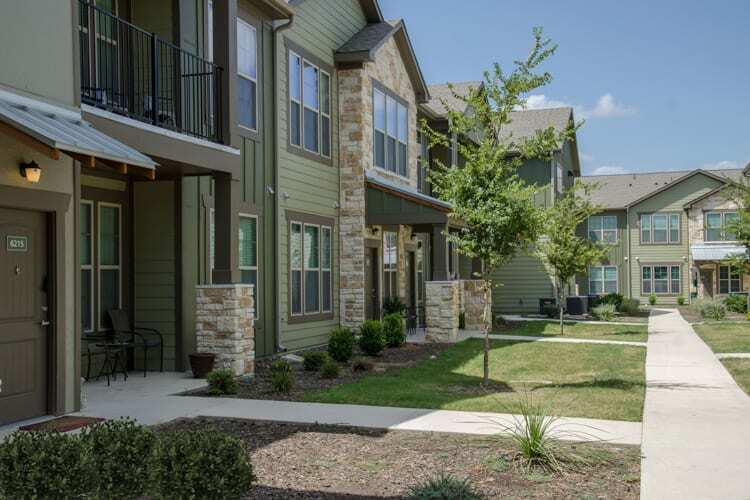 Call Springs at Creekside today to start your new life at one of our luxury apartments for rent in New Braunfels, TX.